In January The Shape of Water director Guillermo del Toro was accused of plagiarizing his movie from the Paul Zindel 1969 play Let Me Hear You Whisper. Both stories follow an introverted cleaning lady who falls in love with a sea creature (in Zindel’s play it’s a dolphin) at a government lab. And now David Zindel, son of the late playwright and trustee for his father’s trust, is suing del Toro, his producer Daniel Kraus, and Fox Searchlight for copyright infringement. In a lawsuit filed Wednesday Zindel’s attorneys argue that producer Daniel Kraus, who reportedly pitched del Toro the idea for the story, was a noted fan of Zindel’s work. Though Kraus claims he came up with the idea when he was 15 years old, the lawsuit states that that was the same year (1990) that the A&E TV movie of Let Me Hear You Whisper aired. It also cites a 2016 Reddit AMA with Kraus in which he says he “stole (grave robbed?) from everything I could” regarding his research resources for a book he wrote. 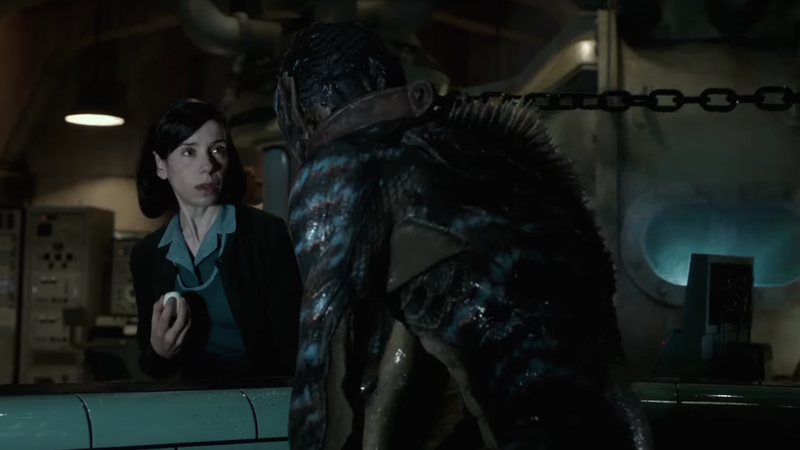 Ultimately because the play was not obscure (it has been turned into two TV movies and widely re-published) the lawsuit argues that those working on The Shape of Water had to have known about the plot of Let Me Hear You Whisper. And there are similarities between the play and the movie: both take place in the 1960s, and both take place in a secret laboratory where the starring introverted janitor works the graveyard shift and forms a loving bond with a trapped aquatic creature. In response to the allegations del Toro has previously said he has “never seen or read the play.” Fox Searchlight told Variety that the “claims from Mr. Zindel’s estate are baseless, wholly without merit, and we will be filing a motion to dismiss.” The full filing is below.